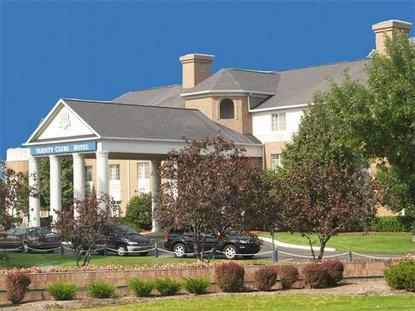 Located in the beautiful Edison Lakes Corporate Park, the Varsity Clubs of America is an all suite property that offers first class accommodations and facilities to its guests. The Varsity Clubs of America is located in the heart of the shopping and restaurant district in the South Bend Mishawaka area. Located within five miles of the College Football Hall of Fame and Notre Dame. Spacious one and two bedroom suites with indoor swimming pool, health club, 2 conference rooms , high speed internet, and a restaurant/lounge make Varsity Club a great choice for your next trip.